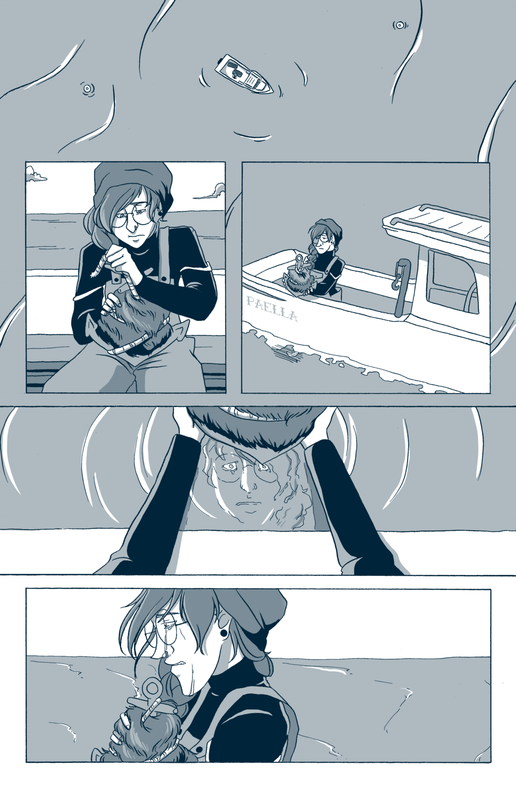 Anchored is a mini-comic published in August 2015. It's not longer in print, but it can be read below for free! 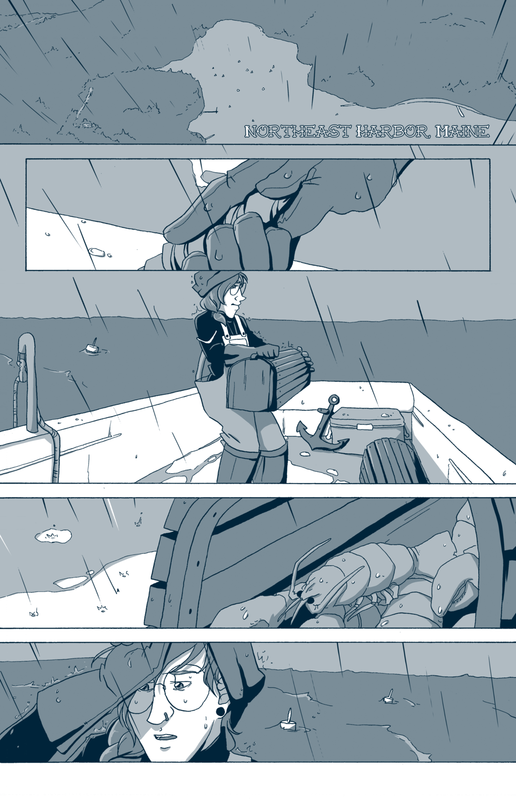 Anchored is a supernatural romance story about a lobster trapper who falls in love with a selkie, and deciding where home is. It was penciled and inked traditionally, and colored digitally.